In case you missed it, KDT 4 is available for pre-order now! 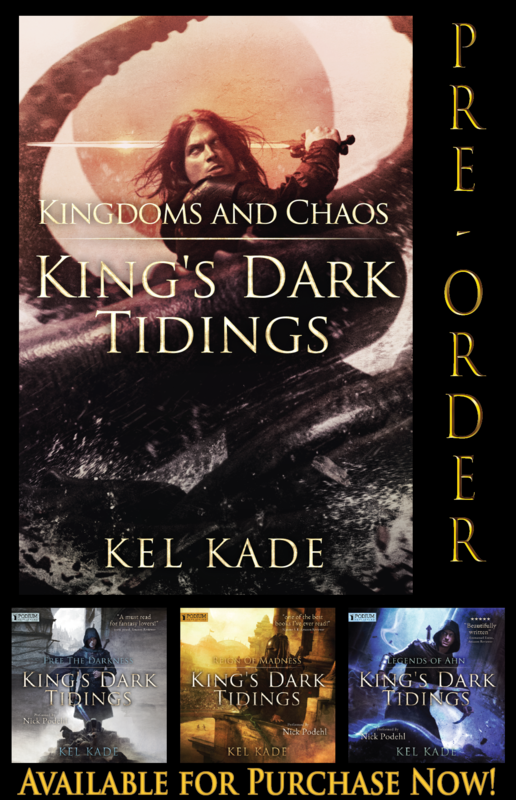 Some readers have reported problems finding the pre-order for King’s Dark Tidings Book 4, Kingdoms and Chaos, in Amazon stores outside the U.S.
You should be able to find the title in any Amazon store by entering B07GJ9FBFP in the search bar. Perfect timing~! Long days on a lonely beach, cold drinks, and a good book – all coming my way at once. Can’t wait! Will I be able to read at 12 AM on the 7th!? So excited! I would love to know how many books you are planning for this series. As many as it takes to tell the story–at least a few more. The Amazon page says that Kingdoms and Chaos is Book 4 of 4. And that it is a 4 book series. I was sad to think that Rezkin was done after this book. After reading this, I am thinking Amazon has it wrong. Amazon only counts the number of books available on Amazon, not the actual number intended for the series. It’s misleading and frustrating for both readers and authors.